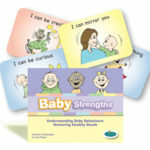 Conversation-building cards for those experiencing separation or any significant life change. 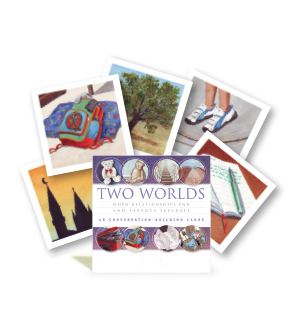 Designed by experienced separation counsellors and child and family workers, Two Worlds is a unique resource for building healing conversations with children or adults experiencing separation—or those experiencing any significant transitions and life changes. Do you sometimes feel you are living in two different worlds? If so, which cards describe your worlds now? What’s it like going from one world to another? What are the hardest parts/best parts? What’s different about your worlds now compared to before things changed? When you look at the cards, which ones say something about what concerns you most/what you look forward to most? Which cards that say something about what you are good at? How could you use those strengths to help you most now?